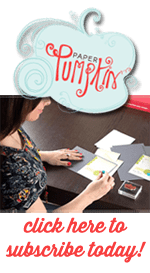 Tomorrow I’ll be working at the Just Crop Retreat doing Make & Takes and selling Stampin Up goodies. I always look forward to these retreats and seeing all the ladies there. There is nothing better than getting together with friends who like to craft. Today’s post is going to be quick, just like my Five Minute Friday card. I’m using mostly the products from the Eastern Palace Premier Bundle. Oh my goodness, I love these dies! Just look at how fabulous they look when cut out. I’m telling you, there are endless combinations. For this Make & Take, I wanted something that would create wow results quick and easy. And I think I succeeded. The detail in the die is amazing. The brand new color you see here is the Fresh Fig. I love this color. It just might be my new favorite. The light pink is Blushing Bride and it is always a favorite. So, some big changes coming around here in my personal life. So many things change when you have high schoolers. Sorry, too soon to announce anything official. But don’t worry, I’ll still be here with crafty goodness three times a week. 🙂 I appreciate every one of you more than you can know, especially now. Retirement List: Oh my goodness, we are down to the last two weeks of the 2016-17 Annual Catalog. So many great products will be retired to that great craft shelf in the sky. If you see something you want, do not wait to purchase it. Some of the items are already sold out. And we are now to the point where the Stamp sets are also while supplies last. So many cute things are going away for good. If you click on the Order Online button on the upper right-hand corner, it will take you to my online store so you can place your order immediately.